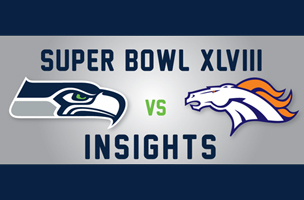 Broncos fans and Seahawks fans differ in much more than football, according to an analysis of their online behavior. Broncos fans lean towards barbeque, while Seahawks fans like sushi and seafood. Country is the music genre of choice for Broncos fans, while jazz is the top genre for Seahawks fans. When it comes to TV, game shows win amongst Broncos fans, while Seahawks fans enjoy watching science fiction and the news.